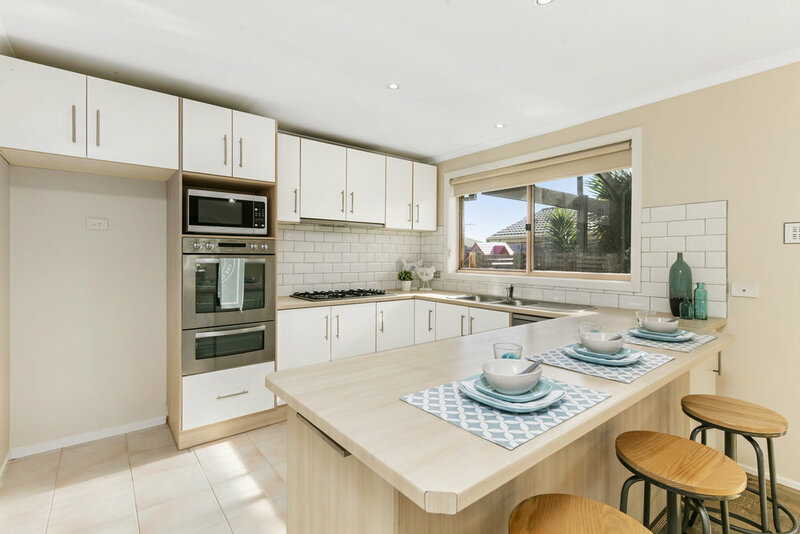 Beautifully modernised and filled with light, this residence on a substantial 521m2 (approx) offers all the low-maintenance convenience of a unit yet with the space and comfort of a full-sized home. Tucked near the end of a cul-de-sac moments to Bentons Square Shopping Centre, medical facilities, public transport and the beach, the home impresses with a formal living area flowing through to a sun drenched open plan meals area with adjacent & recently updated modern kitchen with breakfast bar, stainless-steel oven and brand new dishwasher. 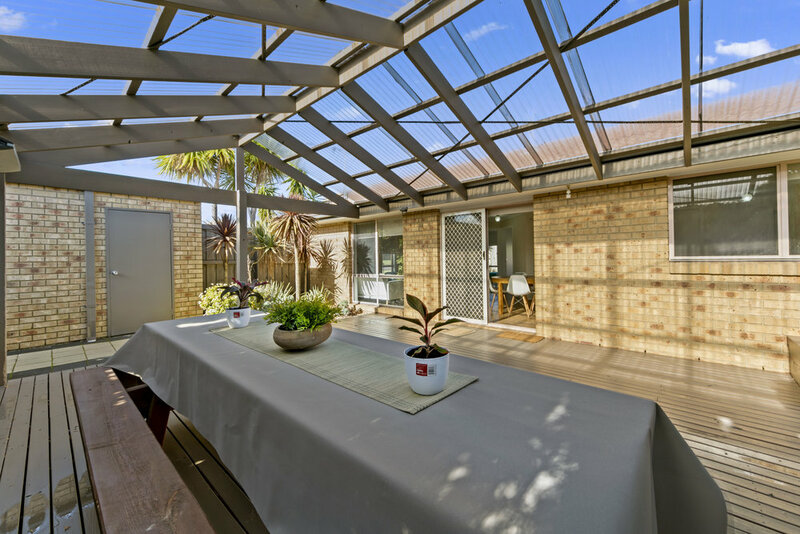 An expansive outdoor living area with pergola spills down to a generously sized lawn and cubby house for the kids. A contemporised bathroom with tub and separate toilet complements the three inviting bedrooms with built-in robes, while a near new gas wall furnace, airconditioner, garage and visitor parking out the front complete this delightfully affordable package.